Our project aims to stimulate dialogue between generations through a variety of project activities. The history of Cambodia is marked by decades of civil war, and subsequent post-war recovery. Even today, this violent past continues to affect every sphere of people’s lives and remains a subject of latent conflict – dehumanization, deep distrust, stereotypes and diverging collective memories persist. Many victim-survivors and former KR, many of which live side by side in the same communities – still hold grievances such as feelings of having been dehumanized by the KR regime, of sadness and loss (personal, physical and economic) and the lack of recognition of their identities as victims. A lack of communication continues to foster anger, hatred and misunderstanding. As a result, human rights abuses still occur, social capital lacks, trauma persists and economic progress is very limited. With this project, we aim to generate healthier relationships in society and increase social resilience. It complements the ongoing retributive transitional justice* process at the Extraordinary Chambers in the Courts of Cambodia (ECCC) at the national level, also known as the Khmer Rouge Tribunal, by providing comprehensive restorative** justice at the grass-roots level. 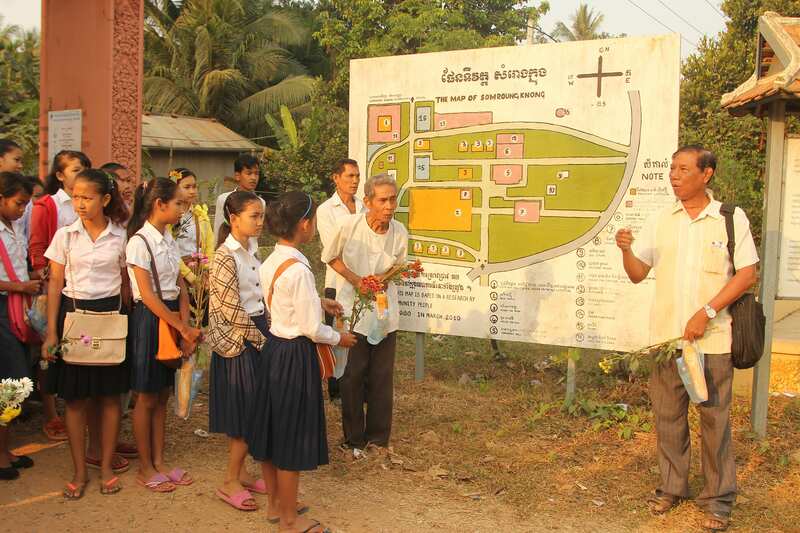 A Khmer Rouge survivor guides young peope at a Khmer Rouge crime site during a TPO activity. 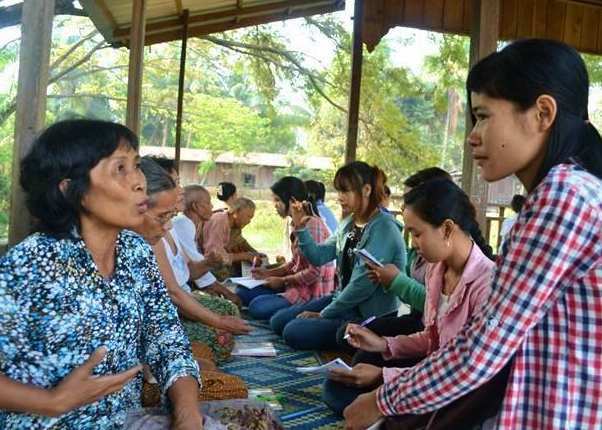 This project addresses attitudes and behaviors of different target groups with particular emphasis on three groups: victim-survivors of the Khmer Rouge (KR) period, former Khmer Rouge, and the post-war generation. Both children of former KR and children of victim-survivors have been shown to have limited knowledge about the root causes and functioning of the KR regime and their parents’ experiences. They receive little formal education on the recent past and rely on their parents’ accounts, which often transmit trauma, exclusive identities, and victimization. Many youth are socialized into an environment marked by structural and often physical violence, and are often marginalized as hierarchical social values prevent them from civic engagement. Both TPO and our project partner Youth for Peace (YFP) have been using a ‘people-to-people’ approach in their programs since their inception, applying participatory planning, initiating dialogues, and creating committees in communities. Both organizations believe that a successful reconciliation program in Cambodia requires a holistic response incorporating criminal and reparative justice, trauma healing, truth telling, memorialization and education and targeting the individual, relational, communal and institutional levels of society. In this project, we are expanding our current approaches by combining the rights-based trauma work of TPO with the youth-centered reconciliation work of YFP, which produces new and synergetic results. 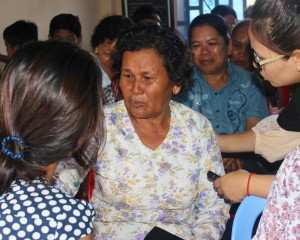 A Khmer Rouge trauma survivor’s life story is read aloud during a public Truth-Telling Ceremony by TPO. TPO uses Testimonial Therapy during which victims restore their traumatic memories in cooperation with a therapist and convert them into a written document: a testimony. 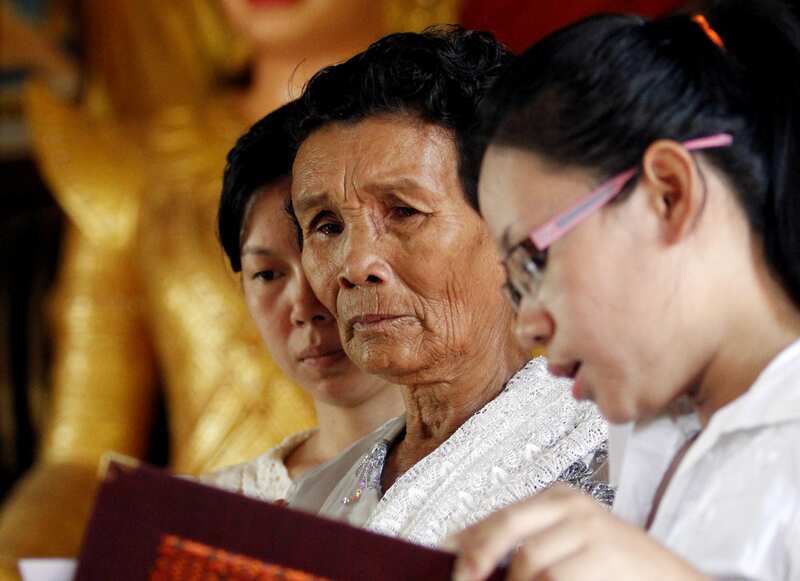 This testimony is read aloud during a public religious ceremony which, in turn, promotes the acknowledgement of suffering, the de-stigmatization of survivors and restores their dignity. It also allows the survivors to ease the suffering of the spirits of ancestors and pay respect to deceased relatives. During this project, TPO is expanding its testimonial interventions towards a stronger truth-telling focus. TPO and YFP believe that open communication is a powerful tool for rebuilding relationships. During this project, TPO and YFP use a variety of truth-telling and dialogue formats to help repair relationships such as witness accounts, joint visits to mass graves or former KR work camps, community-based dialogues and truth-telling sessions, the public delivery of testimonies (Truth-Telling Ceremonies), dialogues between former KR cadres and victim-survivors (aided by video technology). A women opens up about her past traumatic experiences during a community dialogue held by TPO. Memorialization can help fight impunity and alert the public about the consequences of policies of injustice and violence. YFP assists communities in exploring their needs and ideas in regard to local memory cultures and in preserving crime sites. Local Memory Committees have already been established. Their aim is to preserve sites, organize commemoration ceremonies and, with youth groups, set up small learning centers and peace libraries informing the public and the next generation about the atrocities committed in KR history. During this project, TPO and YFP assist communities in developing new memorialization schemes and in upgrading existing learning centers and peace libraries. TPO and YFP are documenting and disseminating the project work to the benefit of all target groups. For example, during this project, they collect, disseminate and publish written and audio-visual material through a variety of media including produce short films and host a radio program. Both TPO and YFP have always been actively involved in promoting gender equality. This project also ensures gender balance in all activities and gives special attention to the empowerment of young women by encouraging them to take on leading roles. It aims to ensure that representatives from women’s committees and groups take part in the interventions, particularly as members of the Memory Committees. Officials from the Ministry of Women’s Affairs are encouraged to participate in all public events and ceremonies. 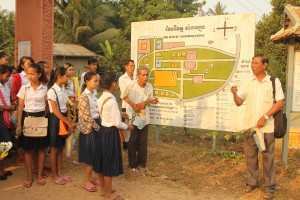 Khmer Rouge survivors and students visit a Khmer Rouge crime site in rural Kampong Chhnang and, with TPO staff, reflect on the past, present and future.